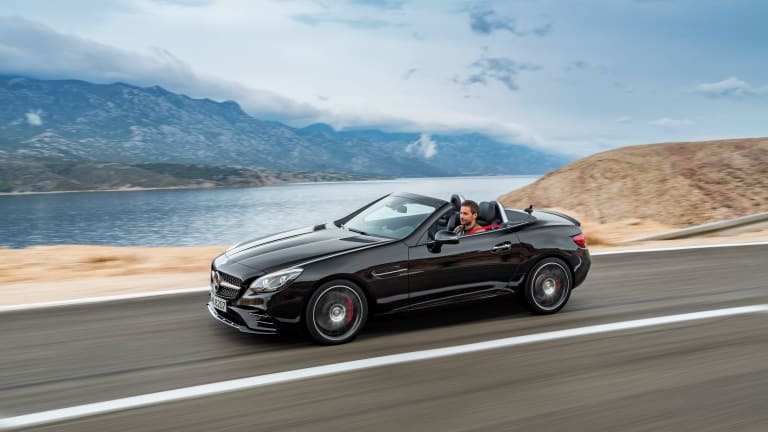 Merc's AMG-powered roadster gets even more efficient for 2016. 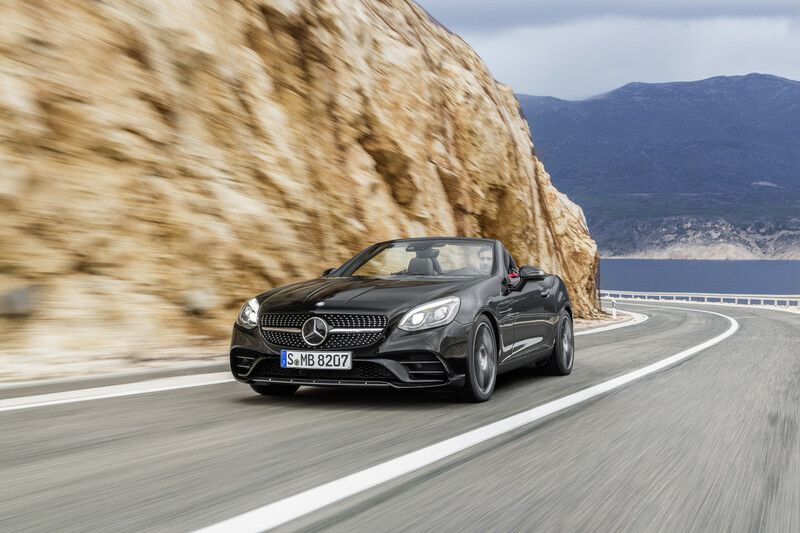 Though it loses its V8, Mercedes&apos; newly-named SLC43 roadster instead gets a 3.0L biturbo V6 that pushes out 362-hp and similar performance numbers while being even more fuel efficient than the model it replaces. 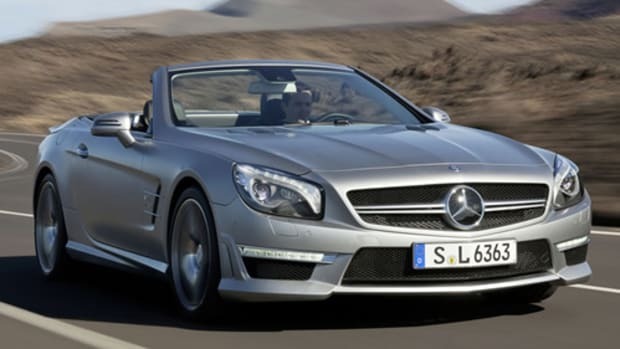 0-60 will happen in 4.6 seconds and the car is electronically limited to a top speed of 155 mph. 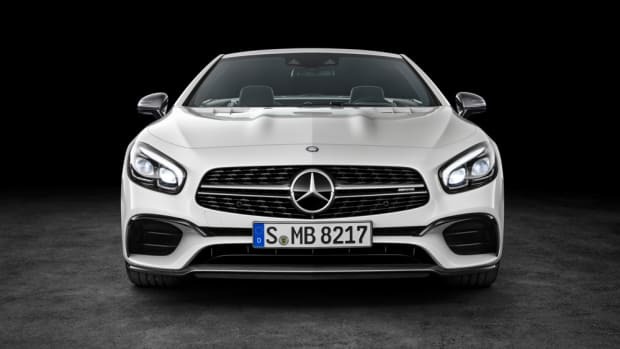 Other features and highlights include a 9G-TRONIC sport transmission, ront and rear axles with new elastokinematics, larger brake discs, AMG exterior mods, the new diamond radiator grille, 18-inch AMG wheels, Nappa leather interior, and an optional AMG Ride control sport suspension and handling package is offered to complement the car&apos;s sporty characteristics.